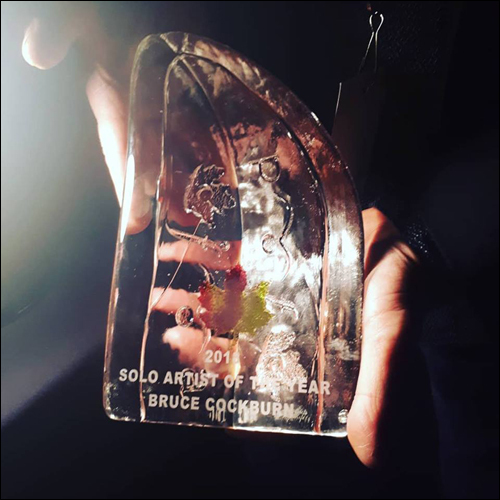 1 December 2018 – Bruce Cockburn wins Solo Artist of the Year award for Bone On Bone at the 2018 Canadian Folk Music Awards. 8 September 2017 – Bruce Cockburn is one of Canada’s most beloved songwriters, earning 12 Juno Awards and spots in the Canadian Music Hall of Fame and the Canadian Songwriter’s Hall of Fame over the course of his storied career, which spans nearly five decades. It’s been six years since Cockburn released a studio album — 2011’s Small Source of Comfort — but the songwriter announced earlier this year his plans to release a 33rd LP, Bone on Bone. 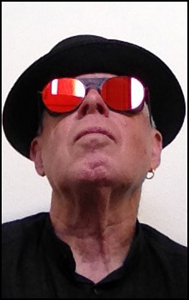 The new collection of songs, produced by Colin Linden, touches on many subjects close to Cockburn’s heart, including the poet Al Purdy, life in Trump’s America, and the complexities of personal spirituality. Click through and Listen to the album in its entirety before its September 15 release date. Credit: Listen – Bone On Bone – No Depression. The gentle lilt of his guitar, that familiar voice a little more road-worn but still warm and wise, and those words. 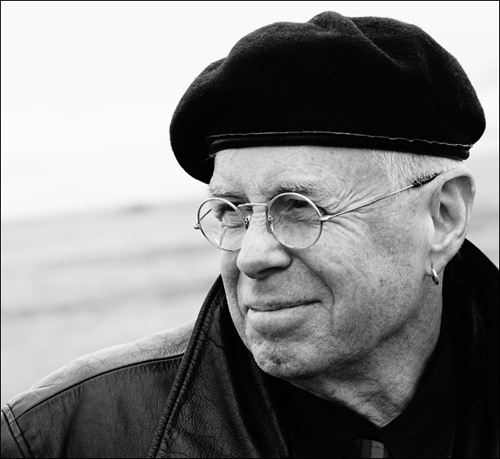 This is his first studio album in seven years, but few lyricists help us to know ourselves more deeply than award-winning singer-songwriter Bruce Cockburn. 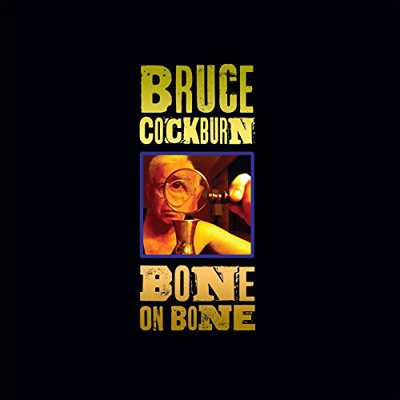 Above is the chorus from “40 Years in the Wilderness,” the third track off of Cockburn’s new record, Bone On Bone. CBC Music has the advance stream playing a week ahead of its Sept. 15 release. Order the album here and get a list of his Canadian tour dates here. 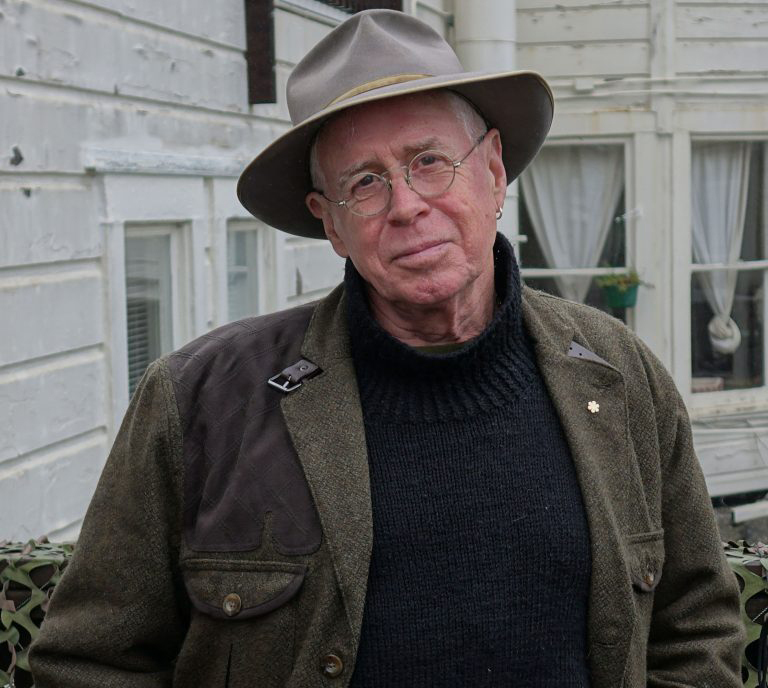 But after writing his 2014 memoir, Rumours of Glory, Cockburn wasn’t sure if he’d ever be able to write anything ever again. Three years later, Bone On Bone is here. Cockburn spoke with CBC Music over the phone from his home in San Francisco about writer’s block, finding his faith again and how the late Canadian poet Al Purdy helped kick start the making of Bone On Bone, his 33rd album. The fifth song on the record is called “3 Al Purdys” and I love the fact that he was an entry point for you after your break with songwriting. What was your relationship to him and his poetry? I actually didn’t have any relationship with him or his poetry really, until the invitation came to contribute to the film [Al Purdy Was Here]. I was aware of him certainly and I was aware of his reputation but I hadn’t really gotten into his stuff at all. When the prospect of doing something for the documentary was raised I went out and got his collected works and I was completely blown away and amazed that I’d missed it all those years. And regretful, because it would have been great to have met him, or at least to sort of been able to track the development of his work over the years. You can kind of do that looking at the book as a retrospective, but he really was an incredible poet and so Canadian. I can’t think of anyone other than Stompin’ Tom Connors who so exemplified a certain aspect of Canadian culture. And there’s so much pathos and humour in his work. When I got asked to write a song, I had not written anything for a while. All the time I was writing my memoir and I couldn’t really get into the concept of songwriting because all the creative energy was going to the book. I was kind of wondering, “Am I going to write songs again?” The invitation came to do this and it was like, “OK, this will be the kickstarter.” I immediately thought of this image of this homeless guy who comes across as being penniless for his art. I pictured him kind of in the wind, coattails blowing and he’s ranting on the street. Well, not really ranting, he’s reciting Al Purdy’s poetry, he’s obsessed with his poetry. The chorus is “I’ll give you three Al Purdys for a 20-dollar bill,” I think Purdy would’ve approved of that, probably. I think a lot about those themes, and they’re in your work, too, the obligation of humanity to see a little bit deeper than we sometimes want to. I agree with you. When you encounter the surface of something, there’s a massive depth behind it. Allow for that even if you don’t know what’s in there, so that you have the chance to discover more. It’s important to kind of approach everything in life like that. Can we talk a little bit about ‘Forty Years in the Wilderness’? I think this is one of the most extraordinary songs I’ve heard this year and I’d love to know a little bit about what went into writing it. I was in church one day and the sermon was about Jesus descending from heaven and he realizes who he is, or what his mission is let’s say. One of the gospels basically describes him as kind of jumping up and running off into the desert. He spends 40 days in the desert and in the story he’s tempted by and being offered all sorts of great worldly things, which he rejects. This [sermon] happened right about the time, not to the date, but more or less 40 years since I’m a churchgoer. And I’m back in church and I’m hearing this, and I’m thinking, well — it’s not quite correct to say why, but a large part of me not being a churchgoer was learning about the world. It hit me at the end of the ’70s, way back when, that if I was going to love my neighbour as myself I’d better find out who my neighbour was. I embraced urban life at that point, which previously I’d been very suspicious of, and I made a point of kind of socializing myself in a very different way from how I had been before that point. And over time, I mean, didn’t just happen overnight, but ah, you know, I had a lot of adventures. I met a lot of great people and some not-so-great people and I travelled to some amazing places and I pretty much fell away from going to church, although I did not fall away from my belief in God and my desire for a relationship with God. My wife who was going through her own spiritual searching was kind of steered toward this particular church [in San Francisco] and had gone pretty regularly for several months before she managed to convince me to actually go and I went and I completely fell in love with the place — well, not with the place but with the people and the spirit that’s there. Your guitar playing is really the centrepiece for so much of the record and I was really curious about how the guitar has helped shape you as a storyteller over the years. It seems like it’s an extension of your storytelling. I almost think of it the other way around. I’m a songwriter because I wanted to be a guitar player. I started off wanting to play rock and roll guitar, under the influence of Buddy Holly and Gene Vincent and Elvis. I never did end up playing that music, per se, but that got me wanting to play the guitar and, you know, over the years, the earliest years of playing I began to imagine myself being in the jazz world and playing, you know, composing music mainly, but playing on the guitar. I never got the chops together to be a jazz musician. Well the reason I didn’t is that I felt after I got to know it more, that it wasn’t really where I was being invited to go. I was interested in all kinds of other music as well by the time this kind of turning point, decision-making wise. I was heavily under the influence of Bob Dylan and singer-songwriters/folk music of the ’60s. My mother said, “Well, you’re gonna have to sing, you know. Play guitar and sing too.” And I’m going, “Nah, no way, I’m not singing.” She had a lot to do with convincing me that that singing was something I could pull off, even though I was terrified of doing it. Once I was learning folk songs and blues tunes, it wasn’t a very big step to start writing songs. It was the guitar that started it all. And I’ve always loved the instrument and loved making music on the instrument, whether there was a song to be sung or not, you know? 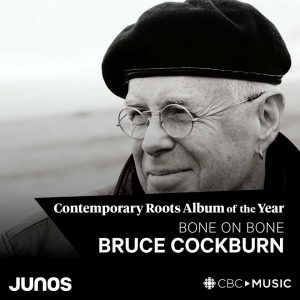 TORONTO, July 12, 2017 – Bruce Cockburn has announced the September 15, 2017 release of his first full-length album in seven years, Bone On Bone (True North Records). The release coincides with his induction into the Canadian Songwriter’s Hall Of Fame, and the launch of his longest touring schedule in decades. Bone On Bone, Cockburn’s 33rd album, arrives with 11 new songs and there’s a prevalent urgency and anxious tone to much of the album, which Cockburn attributes to living in America during the Trump era. But, more than anything, Bone on Bone amounts to the deepest expression of Cockburn’s spiritual concerns to date. The 12-time Juno winner and Canadian Music Hall of Fame’s “Forty Years in the Wilderness” ranks alongside “Pacing the Cage” or “All The Diamonds” as one of Cockburn’s most starkly beautiful folk songs. “There have been so many times in my life when an invitation has come from somewhere…the cosmos…the divine…to step out of the familiar into something new. I’ve found it’s best to listen for, and follow these promptings. “Forty Years in the Wilderness” is one of several songs that feature a number of singers from the church Cockburn frequents, for the sake of convenience referred to in the album credits as the San Francisco Lighthouse “Chorus.” “Among other songs, they contribute call-and-response vocals to the stirring “Stab at Matter.” Other guests on the album include singer-songwriters Ruby Amanfu, Mary Gauthier, and Brandon Robert Young, along with bassist Roberto Occhipinti, and Julie Wolf, who plays accordion on “3 Al Purdys” and sings with the folks from Lighthouse, together with LA songwriter Tamara Silvera. You may download the pdf as well. Bruce will start touring in the eastern U.S. in November 2017, in support of his yet to be released new album Bone On Bone. Released date is set for 15 September 2017. He will tour in Canada in September 2017 and in the U.S. and Canada in January/February 2018. This tour will be a band tour, and details of that will be coming along shortly.